My favourite time of year once again, Science Fair time! If you just moaned and groaned, I suggest you go read this post, and then this one, and hopefully you come back with a more positive attitude toward the fair. We started talking about science fair the very first day back after Christmas break. For many, grade four is the first year to complete a project and it can be really overwhelming just to hear the task described. I like to take a bit of the anxiety away with a fun demo. Here, we are using the good old baking soda and vinegar demo with a twist.... as the two combine it creates carbon dioxide which fills the balloon. Totally unexpected and they really love it! We did this at every table group, all at once. So fun to hear them all oohing and ahhing at it. 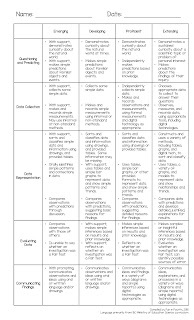 This leads into a week of selecting an appropriate topic that is truly an experiment, not a demo. Most of my class has nailed that concept, so I am really excited. And, as you know, I like to spread my passion about the school. So this weekend, Crystal and I created this awesome bulletin board! We used my old lab coat from university, some rubber gloves, goggles, paper and cotton batting to create our mad scientist. The white is oil pastel on black bulletin board paper. 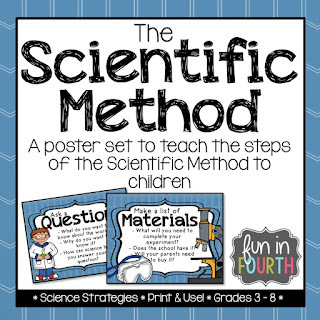 The posters you see here are my Scientific Process poster set. 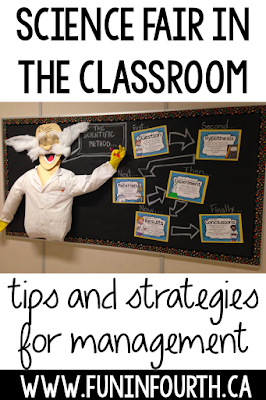 I teach my class the scientific method with these projected in the classroom, and now the printed versions can serve as a visual reminder in the hallway. If you like it, and want your own set, click here to get yourself a copy. 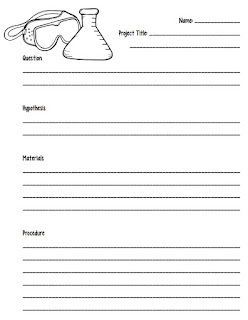 Or, check out my Complete Resource Package. 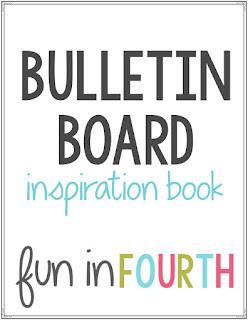 You'll get the poster set above and so much more! 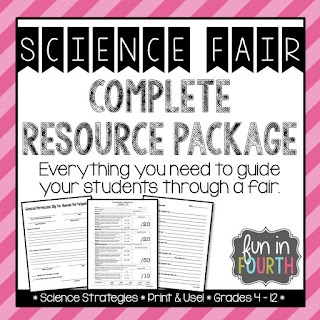 This 60+ resource has EVERYTHING you need to successfully teach and host a science fair. 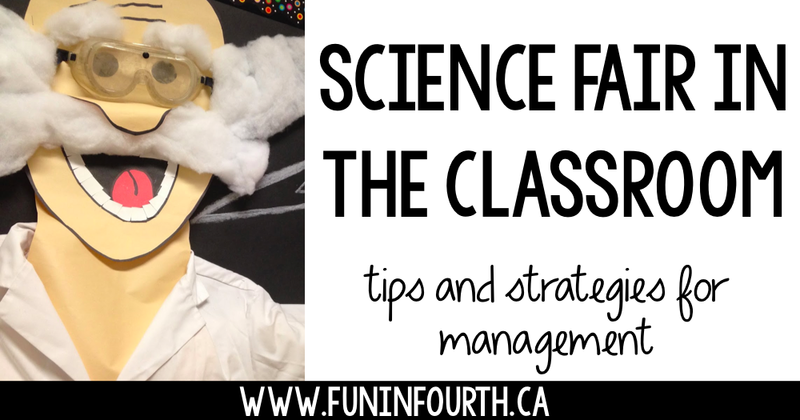 I really do love talking about this topic, so if you're wondering about something for your classroom or school fair, please ask away either in the comments or via email! 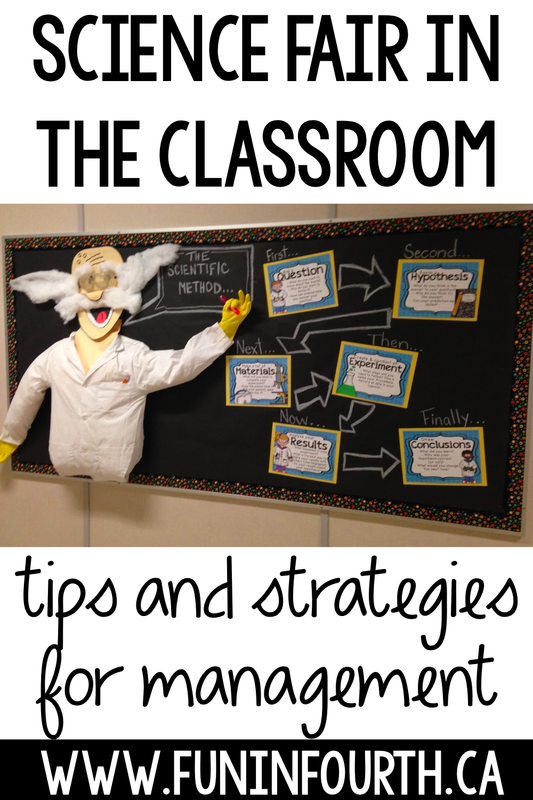 Check out my Pinterest board for more Science Fair inspiration!